When, in 1984?86, Richard P. Feynman gave his famous course on computation at the California Institute of Technology, he asked Tony Hey to adapt his lecture notes into a book. Although led by Feynman, the course also featured, as occasional guest speakers, some of the most brilliant men in science at that time, including Marvin Minsky, Charles Bennett, and John Hopfield. 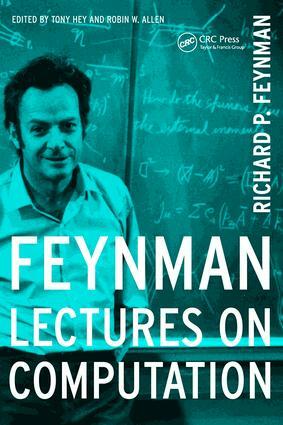 Although the lectures are now thirteen years old, most of the material is timeless and presents a ?Feynmanesque? overview of many standard and some not-so-standard topics in computer science such as reversible logic gates and quantum computers.